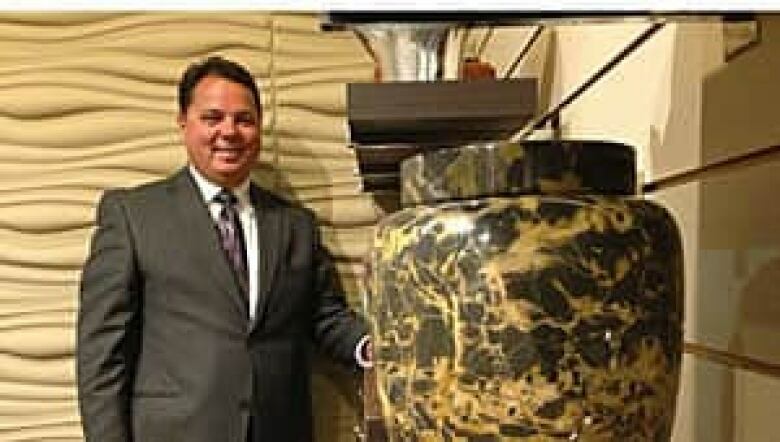 Funeral directors gathered in London, Ont., for their annual convention are looking for new ways to revive what had been a very traditional business, as more Canadians are choosing cremation and greener options following death. In the 1960s, fewer than five per cent of all Canadians were cremated. Today, that figure is nearly 60 per cent. "That can affect the bottom line, depending on the products and services that a family chooses," Sue Lasher, president of the Funeral Service Association of Canada, said this week. Funeral directors say they need to find new revenues because a cremation can cost significantly less than a traditional burial. Andrew Rawls is the general manager of Memorial Dignity, which owns 240 funeral homes across Canada, including two in Windsor, Ont. He said 65 per cent of the people he services in Windsor are cremated. 40 per cent because it’s cheaper. 40 per cent because of cultural beliefs. 20 per cent because it's more environmentally friendly. Brian Parent manages Families First Funeral Homes in Windsor. "Families today are making choices that fit their lifestyles. They're not buying products they once were," he said. "Where families 20 years ago would spend $15,000 on a casket, they wouldn't do that today. I don't blame them." According to Canadian Funerals Online, a directory of funeral homes in Canada, a cremation is likely to cost a quarter that of a burial. A simple, direct cremation in Canada can start at around $700. A cremation with a service and extras, such as a viewing or funeral flowers, may cost in the $2,500 range. A traditional burial can start at around $3,000 and rise from there. Roger Mathurin lost his wife of 31 years to lung and breast cancer. She died on April 22, 2013. Before she died she made it clear, she wanted to be cremated. He keeps her ashes in an urn on the fireplace. "We both didn't want to be buried and it was more economical," Mathurin said. He would recommend this for other people. "It just feels right," he said. The floor of the industry's trade show revealed a host of new post-death options. There are biodegradable caskets and decorative urns, keepsake items that include cremated remains, and one company has found a way to store DNA indefinitely in a pendant. 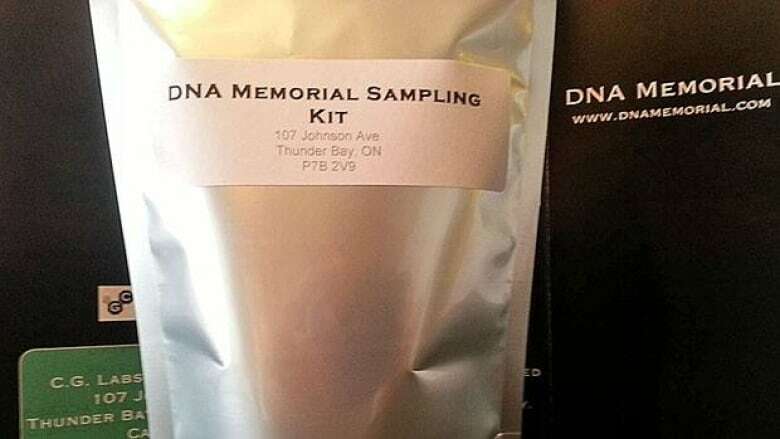 "It's still 100 per cent viable DNA," said Ryan Leho of DNA Memorial. "So they can actually get the genetic information, the inherited medical information, all that stuff can be recovered from this DNA." Funeral directors say families now decide what happens at a funeral service and the challenge is keeping up with their latest demands. For example, a new technology allows diamonds to be derived from cremation ashes. Rene de Diego is the president of Remembrance Diamonds Corporation, a company that offers the service. "Through a process, we take cremation ashes, refine it to crystalized graphite where you can actually press it under high pressure and high heat, and grow a real diamond from it," de Diego said. He says the diamonds serve as a mobile memorial. "It's a keepsake. It's something that obviously can last forever, can transcend generations. Something you can keep with you," he said. The diamonds start at $2,800. Another type of keepsake that incorporates cremated remains uses hand-blown glass pieces where, according to Skytree Smith of Glen Williams Glass, "you can see the ash, instead of having it hidden away." "I have a paperweight that's got a tricolour swirl in it with some bubbles. I've got two light holders that are absolutely magical when they're lit in a dim room, because the ash appears to sparkle," Smith said. Smith has been a glassblower for about eight years. She has been incorporating cremated remains into her glasswork since she got her funeral director's licence two years ago. Her items sell for $95 and up. Another vendor at the funeral directors' trade show is displaying "Lasting Impressions," fingerprint pendants of the deceased cast into silver and made into a pendant. Owner Tara Duckworth says "it's just a nice tangible piece of your loved one to keep close." They sell for $130 apiece.